2) the SYMBOL LIFE format of molecules and reactions as expressed in college chemistry textbooks ... the periodic atomic table symbols, Lewis dot diagrams, chemistry formula, etc. In addition ... we must consider the organic chemistry --> social chemistry EQUATION and its expressions in the social sciences, political science, and literature. Let's look at an examples of organic chemistry continuum .... communications techniques and methods. First, we have the aldo addition --> of carbon life form in humanoid format with proper noun ... Aldous Huxley. In addition, the aldo Huxley writer provided aldol thought enhancements ..... his aldo additions to literature and philosophy. Thus ALDO organic chemistry agent Huxley ...... associated with organic life forms in the format of adult women .... sent a subconscious mind signal about the organic continuum influence on human relations between MALES ( with no atomic prefix like --> fe) versus the fe +males ...known as females /women . Thus we see the organic chemistry equation in the book title on social chemistry and the possible architecture of society. Aldo .....................Bra.............wo --> woman ..... thus the secret social language of organic chemistry students. A more complicated social chemistry process occured in ITALY. A typical modern aldol addition reaction, shown above, might involve the nucleophilic addition of a ketone enolate to ..... Advanced Organic Chemistry (5th ed.). 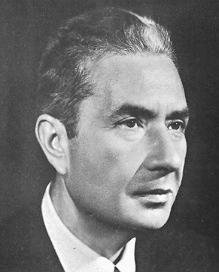 Aldo Romeo Luigi Moro (Italian pronunciation: [ˈaldo ˈmɔːro]; September 23, 1916 – May 9, 1978) was a centre-left Italian politician and the 39th Prime ..
D-aldotetroses and the two most abundant D-aldopentoses in the biological world: ... Expect four stereoisomer 22 for aldotetroses. Two D ... Addition reaction. Thus he was a D-aldo --> Democrat Aldo --> more precisely ... a Christian Democrat Aldo Mo (ro ) --> representing the D-aldo mo (molecules) in Nature's the organic chemistry continuum ...... within the 11-dimensions of string theory within with Sartre existentialism. He was kidnapped on March 16, 1978, by the Red Brigades -->concept proper noun CLUE implies READ Bridge --> Jerry March and the SYMBOL MACHINE ..... textbook .... Advanced organic chemistry expression message of March 16, 1978. Thus we see the mystery social and political language messages of Nature's organic chemistry continuum ...... providing RD opportunities for amateur scientists and college students.